Thank you for submitting your item for appraisal. 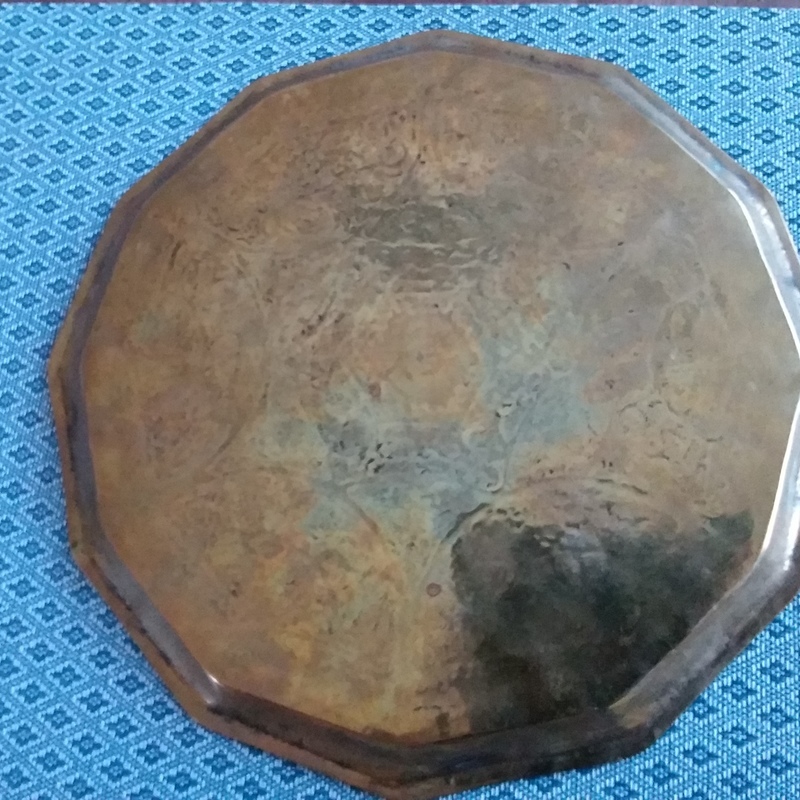 This appears to be a late ottoman empire brass tea tray, incised and embossed design of flowers and foliage, dated islamic year 1301 which equals the western year 1883/1884. During that period the ottoman empire was already on decline, but had left its imprint reaching from the Balkans to the Near East to northern Africa. I assume the tray was hand made by a local artisan in a provinical area in Turkey or Syria. The estimate is based on similar items actually sold at auction. There is no measurement for the sentimental value you might attach to the item.